If you are an owner, operator or manager in this very competitive business, the video presentation below will help you know much more about the SEO condition of your website efforts. There is a lot of detailed but easily understood information in this video. It was developed to help small business owners understand what their website should incorporate if it's to be considered "optimized". It will help those ground transportation owner know if their SEO or search engine optimization provider has delivered what was promised. Digital marketing is no longer an option and is no longer a DIY technology. Certainly if you want to compete with other limousine providers online. Learning SEO From Marketing Experts. The video below will halp any small business owner better understand SEO and how to evaluate their own site for search engine optimization. We hope this video helped you better understand the marketing condition of your own site and know what good SEO or search engine optimization looks like. Especially if you operate an airport transportation service. Competing online and taking advantage of quality digital marketing is a challenge for many small businesses. Hopefully, after viewing the video above, you will be able to have a more informed conversation about search engine optimization and digital marketing in general. If you would like to schedule a conversation with one of our certified inbound marketing professionals, you can contact us in a number of ways. Here is our digital marketing contact page to help.. There should be no doubt how critical the online portion of any small business's marketing is in 2016. What are the best ways to really understand how your website is performing. Without spending the time needed to answer this question or partner with a certified team that can do this for a business owner, it will be impossible to understand the regular adjustments needed for improved performance. Below I have put together appropriate questions and certain realities that will help any small business owner develop the required analytics to keep their inbound marketing strategy improving and growing. Every business that operates online understands that their website and every web page acts as a window into their organization. It's a window for their customers, potential customers and any referrals. It is also a window into the credibility, mission and authority being established by that organization. We all know this from our own Internet surfing experience. Information is coming to us at an unprecedented speed. We see constant increases in the number of websites, blogs and the amount of Internet advertising. If that isn't enough, we also have to filter through tweets and posts from hundreds of different social media platforms not to mention hundreds of different directories, search engines and links that are so numerous, they can't be counted. We also have to consider the growing challenge any website owner has of making it clearer as to what type of content is being presented. The audience needs to understand if they are looking at advertising, promotional or educational content. This translates to less and less time to grab the attention of a target audience. One of the most important goals any website owner can have is to establish authority in a specific field of expertise. Authority has a special meaning in the world of inbound marketing. This goal is like the holy grail of marketing and requires success in all of the supporting components like SEO, number of third party linking, reviews and comments. Think of any industry you are familiar with and you can probably think of 1 or 2 websites that you consider an authority. This is a result of a certain "chain reaction" that occurs as a result of good inbound marketing. When this goal is reached, it can be seen in the data when applying a complete analysis. One of the best ways and fastest ways to reach this goal is by using only certified website designers and certified Internet marketing professionals. The opening steps along with this video will give you a better idea of how to approach the evaluation process for most websites. I recommend you review the video & slide presentation a few times. This will allow you to absorb more of the fundamentals used in the accurate evaluation of a website. I also would like to take another opportunity to suggest you spend some time researching HubSpot and if you feel this is the appropriate inbound marketing application for your organization, come contact us. We hold 3 different HubSpot certifications and a certification from UCLA in Digital Marketing & New Media. AIRPORT LIMOUSINES RAISE THEIR VOICE! Maybe you know us and maybe you don't but we are a 16 year old inbound marketing firm that has a tight focus on limousine, sedan and shuttle services to the airport. In fact, we have been helping ground transportation companies build inbound marketing strategies before anyone was ever using the word "inbound". In this blog post we will explain to the limousine service operator how they can better take advantage of today's Internet marketing climate by checking their primary marketing components. We will show you (limousine business) why it's more important than ever to have & develop a complete Internet marketing plan. We will also show you how to evaluate the current condition of your internet marketing plan. The evaluation process is extremely important because of the simple fact that it's impossible to develop a successful online marketing strategy until you can confidently determine what you have in place and how those components are performing for you. It would be like having a flat tire but replacing the wrong one. From a marketing stand point, there is no reason any more to be flying blind. As I mentioned in the introduction, evaluating your website is very important because if you don't know what's broke, how will you know what to fix? How would you know what needs attention or where to start applying your efforts. As we always do, we recommend you have a certified Internet marketing team or individual on board. As you will see in this post and probably others, there is no DIY marketing plans like were possible a bunch of years ago. Marketing online has become so complex with almost endless options and applications, this is no place to start learning how to do things yourself. Besides, I know if you are running a limousine or airport shuttle service, there is no way you have extra time to learn a new skill set. Especially a skill set like this one. Partner with the right team so you are still free to do what you do best. Run your ground transportation business. Dispatching, scheduling, HR, maintenance, reservation management, safety... You do what you're good at and let a certified marketing team handle the marketing. This improves the efficiency of your entire operation. Just below, you will see 4 sections that cover the four primary areas of online marketing that need your attention. These are the components of Inbound marketing that represent a complete plan and strategy. Understand that we are keeping this as basic as possible and giving you a high level view of what a successful and well functioning airport transportation marketing system should look like. Maybe you have some of these components in place already and that would be good. However, this perspective should give you a better understanding of the bigger picture and how some of the more important marketing components fit together. Once they are created and put in place, you will be free for development and competition. This is when you'll have the opportunity to focus on each to make each one perform better each month that goes by. Before we get started lets be sure we are on the same page. We have to assume you do have a website in place and live. You will also want to think about the different applications you are using to accomplish your ultimate goals. For example, what CMS (content management system) are you using to manage your website? What analytics systems is in place so you can easily evaluate all of the marketing statistics you need to know about? Okay, now lets look at the 4 primary marketing components every airport limousine, sedan service or airport shuttle service needs to recognize, manage and develop. By now, most website owners have heard the term SEO. This acronym stands for Search Engine Optimization. This is the process used by marketers to be recognized by the major search engines like Google and Yahoo. It is also the process or page configuration needed to achieve advancement in your ranking for targeted keywords. Since our topic is website performance evaluation, it's important to understand what SEO looks like in a successful website. As a limousine company owner, you need to know exactly what Google & Yahoo is look at on your own website. We are discussing performance so we need to understand where performance is seen by the all powerful Google algorhythms. Off-Page Optimization includes SEO elements that are created and managed "Off" of your actual website. Items like directory listings, press releases, reviews and most important, inbound links. These are live links on other websites that point to your web page. There are a few different theories on developing an effective link strategy so be sure to take some time to research this subject. Once all of your primary pages include all of the items above, it is safe to consider those pages optimized for the major search engines. Yes, like all other elements on a successful website, these can be developed and improved on a constant basis. However, it's important not to spend too much of your resources focused only on SEO. The next important element to be able to evaluate and develop is your blog strategy. A blogging strategy along with a social media strategy are so important because these are literally the "living and breathing" pieces of your website marketing. Think about it like this. You main web pages are generally static and do not require frequent changes. Therefore, once you have your SEO applied, these pages pretty much remain the same. Yes, when you have updates in information like pricing or value added services, you will update the appropriate pages. Other than that, they sit quietly providing the specific information for which they were intended. Your about page or your contact page really doesn't require much attention once completed and optimized. Maybe you have heard the cry "Content Is King"? This statement is fairly accurate. Search engines and other important marketing platforms want to see good, fresh content. Your blog is one way that you can give them what they want. Be sure you have a good blog strategy that is designed to help or educate others and you will out perform those sites that don't. A good blog will post 2 to 3 new articles every week. Each blog post should be optimized in a similar way as described above in the SEO section. Blog posts can come in many shapes and sizes. You can use imagery and video and should be between 900 and 1500 words each. Each blog should have whats called a CTA or call to action. This is what is used to ask the reader to take the next step, whatever that is according to your strategy. Your analytics application will measure things like page views, converstions and links. Social media, social media, social media... you can't escape it even when you try. It's all the rage, Everyone is doing it. So? What does that mean to you? Here is my take. If you own and operate an Airport Limousine Service, my guess is that at least personally, you are not a big fan of social media. Maybe you're like me and and wonder, what's the big deal here? Selfies? We were doing selfies before there was a digital camera. Why do I need to update all my friends and family what I had for breakfast this morning? I have so many more important things to do with my time. My response from a personal perspective is... You're right and I completely agree with you. My response from a business perspective is... Social media is here, it's not going anywhere anytime soon and it's an effective resource for attracting and connecting like minded people who have an interest in what your business provides. This being the case, use it to your advantage. Determine with your team, which social media platforms make the most sense for your operation. A great place to start for an airport service provider is the top 3 platforms. Twitter, Facebook and LinkedIn. Twitter moves very fast and you can post up to 10 new posts each day. Facebook is less about business (but changing) than the others so don't post more than once or twice a day. LinkedIn is the "Facebook" for business but still requires constraint to remain professional and credible. One or two posts a day is a good goal for now. Guidelines for all of these social platforms: Try to avoid the instincts to "advertise". Instead, try to be helpful and engaging. Contribute to ongoing conversations and try to show users that you know your industry. The ultimate goal here is to be considered an authority. You're in the travel game so create and post content that most people didn't know but find useful. You are also in the entertainment industry so that should open a world full of ideas. After you're up and running, you will use your own analytics software to measure your results. "If you can't measure it, you can't manage it". I don't know who first said this but it's very true. In today's technology climate, you have the ability to measure everything you need to determine how, when and why you are achieving ROI (return on investment). There is no need to guess how well your strategy is working. You should know from all the data that is generated every day by these inbound marketing activities. Choosing your analytics software can be a challenge. Like much of the software in our lives there requires quite an investment in time before you know if it's the best fit for you. Spend some time researching and reading reviews. This will at least give you a running start on knowing the names, features and benefits of each. For example, we always recommend a company called HubSpot. We do this for many reasons but you or your trusted team need to be involved in this decision. Manage all content - this requires a CMS or content management system. Mange your customers & opportunities - known as a CRM or customer relationship manager. You will be much better off marketing your ground transportation service if you end up using an application that can handle all of the challenges listed above. "If you can't measure it, you can't manage it". I said it earlier I know but it is the truth. I know airport limousine businesses so I know how important statistics are when managing your operation. Your Internet marketing is just as important as your operation and thanks to developing technology, you are able to manage almost every element of your marketing. You are or will be investing thousands of dollars into online marketing. Don't you want the ability to measure your ROI at every turn? If you want to learn more about any of this, we are happy to provide you a no cost, 30 minute conversation with a HubSpot & UCLA Certified Inbound Marketing Professional. Just use the button below to complete a form so we can schedule a conversation that fits into your schedule. How does an established mid-sized architecture, engineering or construction firm compete against the big boys, the low bids and emerging firms? The competition is fierce. How can your marketing arm bring in new business and keep the business you already have? These are questions that are on the forefront of everyone’s mind, whether it’s employee or senior management. As you know marketing isn’t what it used to be. Brochures, snail-mail marketing, tradeshows, ads in trade publications, lunch and learns, and still the most effective, tried and true method of networking all have their place. 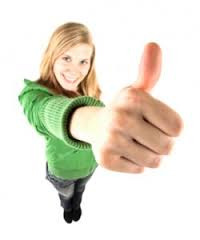 The chief method that new clients are going find you is the internet. Your marketing team ‘must’ be internet marketing savvy, if it isn’t, chances are high that you’ll be out gunned by the big boys or those that ‘are’ savvy. If your team is already savvy, or is becoming so, they know that internet marketing was once a game of keywords and SEOs to fool the search engines into natural rankings. With the ever changing, ultra sophisticated algorithms used by the major search engines the game has given way to science. To gain natural listings, harvest qualified leads that turn into business the new science of marketing is ‘inbound’. The discovery and implementation of strategies that have qualified potential clients reaching out to you! A primary step towards getting a qualified lead that reaches out to you is differentiating your firm. An element to being different is touting your firm’s ability to design and/or construct sustainable, performance buildings. We have to acknowledge that there’s still a great deal of myth and greenwash out there. The first and foremost myth is the belief that green building costs more. This is simply not the case. In fact green, sustainable buildings can cost less. It’s now pretty much established that performance, sustainable, green buildings cost less to maintain and operate as well as have longer lifespans. I’m referring to initial costs. Yes, a green building can cost less if done correctly. To design and build correctly means only that you have to embrace three concepts. 1. The Triple Bottom Line: While making decisions create a balance between what’s best for the economics of the project, the people who’ll occupy and maintain the building and the environment. 2. Integrative Process: Instead of engaging in what I call the ‘plan handoff’, engage in face-to-face extended workshops also referred to as a charrette. This is where the entire team achieves rapid decision making and vital collaboration. 3. Don’t Reinvent the Wheel: Harness and use established sustainability standards and rating systems. The most well known and most rigorous green building rating system is LEED developed by the U.S. Green Building Council. LEED is just one of many. Choose the right rating system for your project. There’s rating systems for Sustainable Sites, residential, commercial, hospitals, schools, lodging, and even warehouses. The point is to differentiate yourself and become inbound savvy or hire a inbound firm. 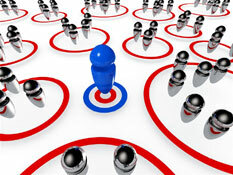 Few realize how difficult it is to employ inbound strategies, of which there are many. One of the facets of inbound strategies is to blog, just as I’m doing here. There’s formulas to blogging, one of which is to write consistently over time. As I’ve mentioned search engine algorithms are incredibly sophisticated. It’s getting to a point where they’re almost like AI. They can smell BS, so it’s vital that content, whether it be blog or otherwise is authentic, well written, and provides information that has value to those potential clients, hence a pathway for you to receive qualified leads. A side note and very important recommendation for design firms that develop Flash websites, and you know who you are. Search engine algorithms have a very difficult time seeing ‘Flash’. Ensure your development includes an HTML mirror site. The components needed to complete at the highest level can become fairly complex. If you think more information or even a no cost consultation would help you with your marketing research, just use the button below to ask. We are always happy to help business make better use of the Internet to grow their business and ROI. Engineering and architectural firms can improve their return on investment (ROI) on marketing by highlighting why thier approaches to design that don't follow the status quo. One such approach is designing vent-less or Non-vented attic spaces. Non-vented attic space design is far superior to traditional vented attic design. The costs for non-vented design is only slightly higher and achieve rapid return on investment in new construction and renovation scenarios. Not to confuse anyone, I'm drawing the line between offering clients superlative design, setting yourself apart and effective marketing, inbound or otherwise. How do you as an architectural, engineering, or construction firm effectively harness the power of inbound marketing and get your message (and unique skill set) in front of a qualified audience, that will seek out your services? As an experienced & certified inbound marketing firm, we suggest that one of many roads that help propel your inbound marketing strategy is to differentiate your firm by drawing attention to proven design strategies that foster performance green building and sustainability. Properly designed attic spaces are just one of many designs that reduce energy consumption while improving a building's durability and indoor air quality. Non-vented, efficient attic system design has a proven rapid return on investment with the energy alone. Ensure you write blogs and content explaining how and why your firm's attic space design is so much better and why designing vented attic design is so antiquated. The key to creating an efficient attic system is to include as part of the weather-proofed, conditioned spaces of the building. When consulting with building science professional you'll quickly discover why vented attic spaces is simply incorrect for mechanically conditioned buildings. Vented attics are a practice that is out of date by around 70 years. For what ever reason, when buildings began incorporating conditioning systems designers seem to have forgotten the reason why attic systems were vented in the first place. They were vented to promote natural ventilation. With air conditioning equipment natural ventilation has essentially gone by the way-side. (Which is also not a good thing. Hybrid systems are optimal, incorporating passive and mechanical design.) When it comes to attic spaces, we’ve been left with is insulation on the top of a ceiling with outside air filling the space, which is by no means airtight. Try our "ROI Calculator" to help you determine traffic & lead goals that must be reached. Through roof and soffit vents comes of course temperature but that’s just ‘one’ of many elements you allow into your home or building. Because of this poor antiquated design practice, you’re forced to be energy ‘inefficient’. In essence a vented attic has you paying twice as much for energy. (Depending stories of the building.) As I said, temperature is only one of the bad things about a vented attic. Humidity, or lack there-of is something you want to control. In humid regions that’s where air conditioning expends most of its energy. I’ve written about benefits of efficient attic system design as a way to differentiate your firm and add traction to inbound marketing. Here’s the fundamental and simple elements to efficient, performance, sustainable attic system design. The key is ‘spray foam insulation’. The typical type of spray foam used in attic spaces is ‘open cell’ because it’s less expensive and generally there’s space for it, but it always depends on the specific project. Closed cell may be appropriate for some projects, such as those where the attic space will be utilized for storage or occupancy. Ensure there are no vents included in design of roof or soffit. If renovating an attic space ensure vents are removed and/or entry holes are covered securely. Spray Foam Insulation must be applied to the underside of the roof deck and its associated surfaces such as soffit and perimeter sheathings and claddings. One of the biggest advantages of spray foam is that it seals all surfaces and joints to dramatically reduce infiltration. To ensure that there is air exchange in this now tightly sealed, well-insulated space, include return and supply ducting directly from an air handler. Consult with your mechanical engineer for proper sizing. So, there you have it. Write about how your firm has chosen to design attic spaces that are far more efficient and how your firm is different because of design such as this. Write about the rapid return on investment that these attics deliver. This is one of many things you and your marketing team can do to propel inbound marketing campaigns, to increase traffic to your site and most importantly qualified leads to grow business. I hope the detailed information above illustrates our experience working with engineering firms, architectural firms and construction businesses. We can help you improve your marketing ROI by effectively developing an inbound marketing strategy that reflects your unique business and highlighting what differentiates you from your competition. If you would like to schedule a no cost consultation, just use the button below that will take you to our contact information. 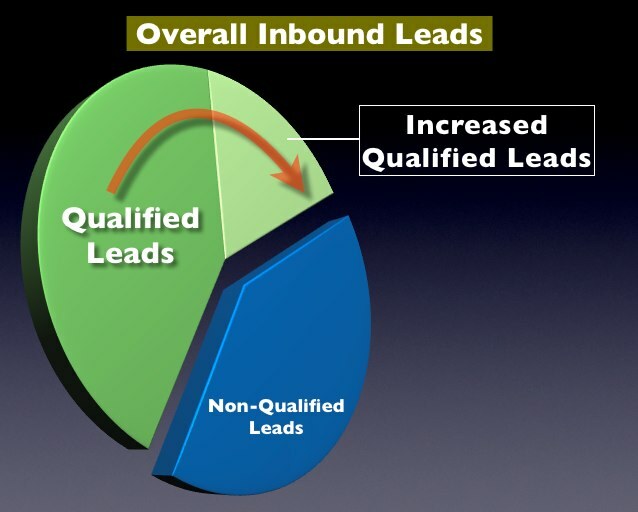 If you’re part of an architectural or engineering firm and want to differentiate yourself when it comes to energy efficient attic systems or understanding performance green building and sustainability the key method to getting the word out and attracting new clients can be summed up in two words, inbound marketing. With expertise in both inbound marketing and performance green building I encourage you to spend time here and elsewhere to understand the basics of inbound marketing and how your architectual firm can benefit. The article below shares some sustainability and architectural ideas related to attic space. The purpose of this article is to share some of our experience in sustainable design and show you how these ideas can be used on your behalf to bring in an interested audience and more qualified & targeted prospects. This is an example of using inbound marketing to attract your architectual firm's target market(s). How does one design the best possible energy efficient attic system? First you have to take a quick look at human behavior. What? What does the design of efficient attic systems have to with behavior? It seems that an innate basic human behavior is the ‘fear of being wrong’. 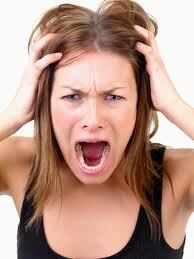 Another innate behavior is ‘fear of change’. Human sometimes would rather continue to make the same mistakes over and over rather than admit being wrong and/or be willing to change. Allow me to use ‘Indians’ of the Americas as a quintessential example of how human beings feel about being wrong and about change. When Columbus set sail from Spain on his first voyage in 1492 he was searching for a direct water route to Asia. Columbus could never admit that he had reached a continent previously unknown to Europeans, rather than the East Indies he had set out for, Columbus called the inhabitants of the lands he visited indios (Spanish for "Indians"). For the past 523 years we still erroneously refer to Native American peoples as Indians, because we, the most part, are still fearful of being wrong and making a change. The same can be said for how we design attic spaces. Prior to mass production of central air conditioning the best way to assist in cooling buildings was venting attic spaces. 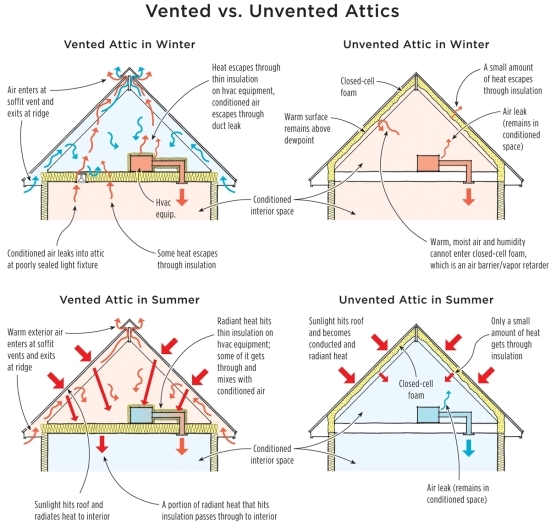 Vented attics were part of a passive ventilation process to create a flow of cooler air. 2. Open to humidity, wind driven rain that allows for mold growth. 3. Open to flying insects, namely termites. How do we create a new or existing efficient attic system? Firstly, big surprise, do not vent the attic. Secondly, insulate the attic on the underside of the roof deck, not on top of the ceiling. Thirdly, with recommendation from a mechanical engineer, bring conditioned air into the space with a supply and return duct. Not to cool the spaces, but simply to move the air through it. There are many architects and engineers who understand these design parameters. Maybe you’re one of them? With expertise in both inbound marketing and performance green building I encourage you to spend time here and elsewhere to understand the basics of inbound marketing. Think about the fear of change in the context of the digital age. If you’re still thinking about keywords and search engine optimization as the way to get noticed organically by the major search engines, you’re about 70 digital years behind. Inbound marketing is a complex set of interwoven strategies you might be able to understand in principle, but when it comes to enacting a ‘truly’ effective inbound marketing campaign, talk to us. Note: Architects and other contributors to a more sustainable society need to share their expertise and services online. Why is this so important? Look at the numbers by downloading real time inbound marketing statistics and really see the difference a complete Internet marketing strategy can make. If you run a boat dealership, whether new or established, you already know that the longevity of your company relies on a steady stream of new business, in addition to any repeat consumers you may cater to. You are probably also aware that when it comes to marketing your business, you can no longer count solely on print ads and business cards for your promotional campaigns. In today’s market, you MUST have a powerful - and visible - website presence, or the competition already has an advantage with the consumer. “If you build it, they will come…” does NOT apply to your website. To date, there are over a billion websites online, and unless you take steps to actively increase website visibility, stand out from your competition and leave a lasting impression with your visitors, your online marketing efforts will go largely unnoticed. There are several ways in which you can improve your website in order to bring more business to your boat dealership. For the purpose of this article, let’s focus on a critical foundational component: Inbound Marketing. The first, crucial step in the process is to draw visitors to your website. But not just any visitors; to ensure the most effective use of your marketing investment, you’ll need to target qualified visitors who are most likely to have a direct interest in what you are selling. For instance, since you’re dealing with boats, you naturally don’t want to spend the bulk of your precious promotional dollars in targeting those consumers who reside in land-locked geographical areas. You must instead establish a buyer persona of your ideal customer. These are the people will become leads, and ultimately paying customers. Build an understanding of their goals, challenges and pain points, as well as any objections this customer might typically have. Once you have accomplished this objective, you can speak to them in a language that tells them that you will provide exactly what it is they are seeking. Search engine optimization – When searching for products or services online, the most common methods used by consumers are search engines, (think Google). It is imperative that you gain visibility on search engines in order to get your promotional listings in front those who most need what you have to offer. You can do this using such strategies as targeted keyword selection, attention-grabbing content and on-page website page optimization. Blog articles – This is the most powerful means of drawing visitors to your website. When you blog about topics directly related to the interests of your most qualified prospects, you capture the attention of those visitors, while establishing a rapport and sense of trust within the reader. Those readers will in turn appreciate the content, and will be most likely to keep YOU in mind when they’re ready to purchase their next pleasure craft. Social media platforms – Networks such as Facebook and LinkedIn provide a valuable opportunity to drive traffic to your website. Here, you can engage prospects on various levels, share useful information and enable consumers to become more familiar with you before proceeding to click through to your web site. With social networks, you gain the power of their marketing to drive people to your website. As you can see, there are myriad considerations when it comes to getting your website in front of the right audience. So now that you’re attracting qualified visitors to your website, what will you do to engage those visitors and convert them into qualified leads for your boat dealership? In our next blog, we’ll focus on the next critical piece to your online marketing strategy: lead conversion. In the meantime, we highly recommend obtaining a copy of our free downloadable guide for more detailed information on the above website principles. While there are various things you can do on your own to help increase qualified traffic to your company website, there’s no substitute for the consultation of trained inbound marketing experts to help you establish goals and exceed expectations through proven, effective marketing techniques. At Virtual Support Systems, we not only provide expert marketing strategies, we also work to empower our valued clients by providing timely and thorough documentation that further explain the most effective components of marketing a company website. How Do You Better Use Today's Resources Generate More Leads? Lead generation is considered the life blood of many operations and the ultimate lead to success by many boat dealerships. Keeping the top end of the sales funnel is key. Without understanding the most effective ways to bring in qualified traffic to your web pages (website or landing pages), you loose the opportunity to engage and convert interested prospects. We posted this blog specifically for boat dealerships to either catch up or stay on the cutting edge of today's technology. We will also point out that unlike days gone by, technology alone is useless without the right team experienced in executing the almost limitless resources available. Being certified in digital marketing and new media, I have had countless experiences with business owners trying to figure out this fast paced strategy of inbound marketing. I am hoping this blog post provides insight on some basic approaches to efficiently managing an inbound marketing plan and strategy. Partnering with the right inbound marketing team transforms an overwhelming challenging into one that can fit like a glove and give you the resources to implement all of your ideas and expertise minus the perceived road blocks and stress. Leads are the metric that marketers rely on because they are the conduit to sales and revenue. The good news is that unlike a few years ago, leads and the related ROI (return on investment) they can represent is more "measurable" than ever. This means that all concepts and strategies that you develop with your internal team and use your inbound marketing partners to execute can now be measurable. All guesswork can be removed so you can truly evaluate ROI along with multiple other KPIs (key performance indicators). Creation Of A Valuable Offer - This eBook will teach you how and why you must create an offer with value that has appeal to your potential customers. We always need to address the never ending question, "What's In It For Me?" This is an important step that spells out for your interested prospect... what they should do next to receive your offer. Most of the time it's clicking a link but it could be making a phone call or some other form of engagement depending on which level of your sales funnel is your focus. This is the final step in this process. As a boat dealership, this is your opportunity to ask this prospect some key questions that will enable you to better focus on their needs and most important of all... solve their problems. Thats why your customers come to you in the first place, they have a problem and you provide a solution. If you have technical experience and the appropriate skills, you can develop this strategy yourself. Having the right software is key because developing all of these components can be difficult without the right tools. In most cases, we recommend partnering with a certified team with these skills and all others that are required to promote all of this work as well as execute the countless other inbound marketing strategies that provide the visibility and conversion a boat dealership can thrive on. We encourage you to download this free eBook on lead generation for boat dealerships by using the CTA we are providing below. You should be able to get a feel for this process by reading this blog, noticing the call to action, landing page and form. Below, I have outlined in great detail the 4 primary components of a complete marketing strategy including SEO tips. Although there are are more parts and related details than listed below, these segments are most important points and should be the focus of building a strong foundation of a comprehensive strategy. Keyword Development – After completing the “Buyer Persona” process and using input & feedback from XYZ Company, VSS will develop a master keyword database. This database is critical and will act as the foundation of almost all work that follows. Keyword development is one in the many ways we are able to identify the different variations in customer usage and differentiation between the subtleties in different buyer personas. Current plans include keyword expansion and better definition of demographics to determine responsibilities within targeted companies and key decision makers. SEO – As we cleanse and expand the master keyword database, VSS will further identify and confirm the appropriate keywords to match all existing web pages, and then complete any “on-page” search engine optimization requirements. On-page SEO will also be developed and included in all new page development that comes as a need related to the establishment of new buyer persona information. “Off-page” SEO will be developed in conjunction with on-page SEO activities. On-Page SEO – includes search engine optimization of all web page properties including title tag, description tag, image tag, H1 & H2 tags, anchor text, keyword prominence, keyword density & navigation components, sitemap configuration, social media tools and more. Content Development – VSS will oversee and contribute to the regular development of, fresh, timely content on a proposed schedule including SEO tips. Scheduled content uploading or posting will begin after all buyer persona and technical upgrade tasks have been completed and approved. It is also important to understand the relationship between VSS & XYZ Company when developing new content. VSS will be tasked with a predetermined quantity of content in the form of blog posts, social media posts, landing pages, email marketing and more. Because content is such a critical component of successful inbound marketing, XYZ Company will be encouraged to get executives and staff involved in the strategic creation of content. The details will be developed over time but will reflect a certain frequency of blog posts; social media posts and inviting approved guest bloggers. Blog Content – VSS will request that XYZ Company provide enough content to post & manage approximately 2 blogs each week. To start, XYZ Company will provide examples of this content as an insight into each individual buyer persona. Going forward, VSS does have the ability, and will contribute to content creation by writing and formatting keyword and target market focused blog articles. The frequency & distribution of blogging responsibilities will be discussed until both parties are comfortable with a solution. All blogs (all content) will go through the optimization process for both search engine algorhythms and website visitors/readers. This simply points out that the term “optimization” refers to both the major search engines and our website readers or potential customers. Social Media Content – After being sure all appropriate social media platforms are considered and accounts/profiles are complete, VSS will actively and regularly create, develop and post fresh content. Social media content most specifically is designed to not only gain attention but to also promote other XYZ Company content like blogs and landing pages. Effective use of social media is used to promote ideas, concepts, knowledge, education, events, locations or any other strategic content. When used correctly, social media will build influence, initiate an appropriate engagement, build authority and constantly increase a network of followers, prospects and customers. Customer service can be considered at a later stage. HubSpot as recently released a potent new social media tool that we will couple with our new buyer persona information. We project a significant increase in social media performance. Landing Pages – VSS will use multiple landing page strategies. One will be to mimic blog development strategies where we have a content creation alternative to straight blog articles by creating and optimizing individual landing pages around strategically identified keywords. This will attract new visitors via search engines and/or social media channels directly to a specific message, offer or promotion. CTA (Call To Action)– VSS will strategically develop calls to action for just about every web page. This concept will allow any visitor to any webpage an opportunity to engage. We will need to provide CTAs on all blog posts, primary pages and some landing pages to encourage the site visitor to take the next action and move further and systematically down the established (but flexible) sales funnel. Some landing pages will not require a CTA because they will be designed for placement in the middle of our sales funnel and already contain a web form where a visitor will engage. VSS will develop these CTA so they can be evaluated and tested on an ongoing basis. This is a process known as A/B testing. This will play an important role in our comprehensive analytic strategy. Workflow Landing Pages – VSS will create, optimize and monitor specific landing pages designed to convert a site visitor into a lead.. This type of landing page as opposed to the landing page description above will be part of two more sophisticated marketing strategies known as a campaign and a workflow. The difference between a standard landing page and the landing page referred to in this section is functionality. Workflow and campaign landing pages are segments of an isolated, self-contained mini strategy focused on a targeted marketing idea, promotion and buyer persona. They are very effective advancing a “stranger” into an interested prospect that will engage. This is the process designed to attract visitors, convert them into leads and keep them active to the point of a sale. Forms – We will be regularly developing new forms for conversion landing pages. Forms will be created to support all levels of our sales funnel. Top of the funnel forms will be used to allow site visitors to subscribe to the XYZ Company RSS feed or blog distribution. Quote requests will continue to be used as a top of the funnel forms to convert visitors who have started their research efforts. Once the new buyer persona models are in place, these forms will be more targeted and have the ability to speak more directly to customer needs thereby increasing conversion ratios. Different forms will be created to connect to those site visitors, email recipients or social media traffic closer to the middle of the funnel. These visitors are normally more engaged and interested in various middle of the funnel offers such as consultations, demonstrations or direct contact. Like all other individual elements of this inbound marketing strategy, every form will be A/B tested, evaluated and analyzed on a regular basis. Contacts – As “strangers” become “visitors” and visitors become “contacts”, VSS will help XYZ Company develop various strategies to manage and engage contacts. All contacts will be identified and funneled into various “smart” lists representing top, middle or bottom of the sales funnel also separated by buyer persona membership. Depending on the level of contact engagement, the enhanced & automated XYZ Company inbound marketing plan will react accordingly. As a general rule, we will utilize an automated workflow for TOF and MOF prospects but we will have the technology to recognize any web traffic that either moves through our sales funnel more quickly and warrants BOF treatment or reaction. Together with XYX Company, we will continuously fine-tune these systems to meet the needs of each different stage of contact. Testing and thorough analytics gives us real time data to make new and better decisions at any point or frequency. This will always translate to an increase in efficiency and revenue. Email – VSS will configure an approved email marketing strategy that will be used to move all leads/contacts through the sales funnel to the sales team for customer closing procedures. Newly defined buyer personas will give is the capacity to configure our technology to treat different customers in a specific, appropriate and effective manor. 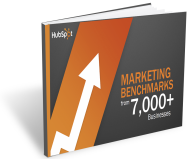 The overall email capability of the HubSpot solution will allow for many different and evolving strategies. Most will be defined by our “Workflow” capabilities described below but we will have enough flexibility to react to market changes and opportunities spotlighted at any time. Email Drip Or Automated Lead Nurturing – A significant component of the HubSpot inbound marketing system is the comprehensive email marketing automation capabilities. VSS will create, develop and manage this automated email marketing system in accordance with Corporate Sedan Service’s instructions along with any and all data developed through time and testing. The expanded version of this email drip marketing technology is called the “Workflow”. XYZ currently has a number of these workflows configured but after the most recent analysis and development of this strategy, we feel a successful buyer persona establishment will fuel current activity and results very significantly. Social Media – VSS will apply approved customer service capabilities depending on any changed or new client customer service strategies. Social media will also be used to encourage happy customers to share experiences and promote various facets of the XYZ offerings. Email – VSS will also advise and consult with XYZ to establish various methods of using the HubSpot email marketing technology to secure positive reviews, testimonials and other experience sharing methodologies. All of the informarion above represents a secure strategy that offers a blueprint that will undoughtly give your company a strong foundation to build a productive methodology to meet your objectives. If you're a believer of this philosophy, be sure you apply it to your Internet marketing strategy. No matter if you provide a service or sell a product, you probably understand by now that online marketing has grown into a significant priority and if growth is important to your plans, you MUST have a strategy to compete. Sure you can experience success by using more traditional methods of marketing but even the most "old school" business owners know and are at least trying to pay attention to this reality. So, as an inbound marketing agency that has grown with this reality since the year 2000, I think this insight and experience will help others that are getting started, in the middle of launching a strategy and even those that feel they have already discovered the best solutions. I wrote this article to help other small businesses with their overall understanding and approach. Yes, there are many details, technology and a very high skill set required to be a true competitor online but this post was written in more general terms in an effort to share something I feel is critical to success and has proven to be somewhat of a bottleneck for many small businesses. Read the headline of this post once more. By the way, this headline, "You Get What You Pay For" is an H1 tag and an important component of what we call "on-page' SEO. I point this out because this H1 tag is one small element and part of a mountain of inbound marketing (Internet marketing) requirements. Some of you understand this and some of you don't. This is the point of this blog post. Unless you are a certified, educated, trained and experienced online marketing professional, you probably don't know "everything" that makes up a comprehensive inbound marketing strategy. But thats okay, thats normal and the way most business evolution works. If you developed the world's best widget, your expertise is in widget development. If you are an architect, you spent years learning your trade and developing your talents. Do you really think you can or should become an inbound marketing expert in order to grow your business? Of course not. This is a trap I see many business owners, business professionals and other decision makers fall into. If it makes you feel any better, this trap was set up while you weren't looking. When the Internet started using language and applying technology that connected businesses with customers, the technological requirements to ride this band wagon were relatively simple. Those that had the vision of this connection were able to implement a few basic components and successfully reach a target market. There was not nearly the level of competition for Internet space or search engine placement as there is today. That might be the understatement of the decade. Then, internet exposure was an experiment and anything gained was just gravy. Today, you have the ability to compete online or you invite serious challenges and many times failure across the board. For most of you, this isn't exactly news. However, what I do think might be considered news is how I am strongly suggesting you approach this reality. You must dump the project based thinking. Researching and hiring an "SEO" company for example is not a strategy that has a backbone. Writing a blog post on a schedule is not a solution that will let you compete at the highest level. Social media posts either automated or manual is not the answer. Creating an email campaign to your contact list or a purchased list will not gain you any traction. All of these examples are projects that usually come from some realization that you need to do more, catch up, compete online, apply a new technology. Although you might experience some success and improve some level of visibility, none of these approaches will equate to a successful, long term solution. When you spend the time and partner with inbound experts that know how to develop a plan that includes these goals, you can then fit in the data you already have like average sale amount, percentage of repeat customers, current marketing expenditures and cost of customer acquisition (COCA). Once you connect all of this data, then you can begin to discuss and construct the inbound marketing blueprint that supports your established goals and projections. This is the new reality of inbound marketing, online marketing, Internet marketing or any other term you like to use. When you start with a details plan that is based around value and measuring ROI, you end any guesswork and know where to look when its time to analyze, evaluate and modify your plans. I hope these thoughts contribute to a better understanding of how to build a smarter approach to your inbound marketing plan. The competition for online real estate is approaching similar levels as we all have discussed when referring to traditional marketing over the years and that means spending the time, effort and partnering with experts are required. Today's technology can tell us what we need to spend, where we need to spend it and what we can expect as a result. As a start, use this simple traffic calculator to help determine how much traffic you need to meet specific revenue goals. I am also including a free guide to analytics that will at the very least, give you insight into what healthy analytics might look like for your company.